AUPRICA is an Association of Private Universities of Central America. The Association of Private Universities “AUPRICA” was founded on November 6, 1990, in San Salvador, and since its inception, the association has produced a significant number of leaders throughout the Central American region. For convenience in the legal proceedings, the organization is legally registered in the Republic of Honduras. In its 25 years of operation, the Association has experienced several stages of internal accommodation and development, all aimed at the pursuit of strengthening its leadership and positioning in the countries of the Central American region. The Association intends to exercise its presence in the region, provided through institutional strengthening and promoting actions based on the pillars of Teaching, Research, and University extension. Thus, the Association requires a new strategic projection and set a course of action that responds to a vision, guided by the strategic and operational plan for the coming years. AUPRICA cooperates and participates with the UNESCO Education 2030 Framework for Action (FFA). The organization’s relationship and coordination with its members, national, regional and beyond, requires projects for exchanges of experience, teacher, and student mobility, and strengthening of research projects, knowledge and quality education, resulting in highly educated students. This is the primary reason for university life and contributes to improving societies and the development of the countries in which it takes place. Some of the universities welcome students that passed the American GED test. In the USA, people who don’t have a high school diploma can still go to college if they get a GED certificate. There are quite a few privately operating online programs that help students preparing for the GED test. These programs can open doors to many colleges and universities. As one of the students using the online GED program from BestGEDClasses said: “Overall, my self-image will be magnified. I am going to start this road to get a GED. I don’t want to feel left behind because of those around me do have a secondary degree. 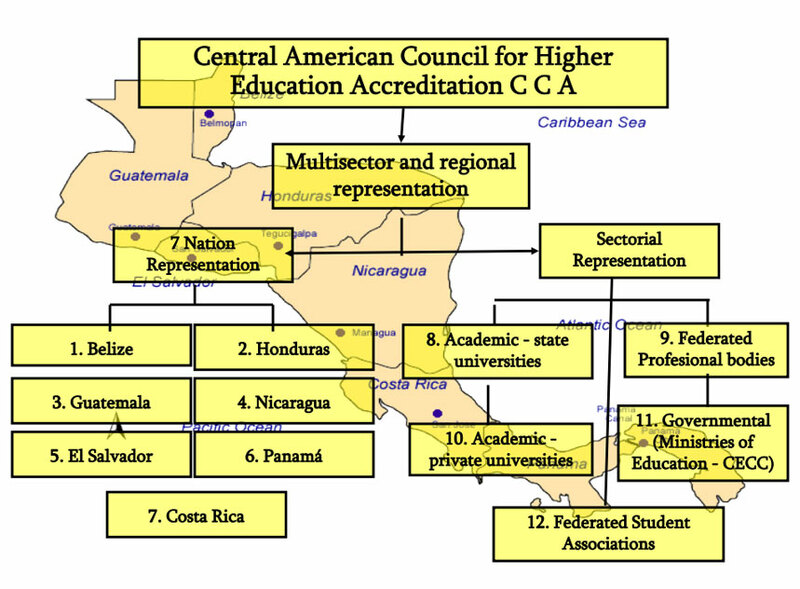 The same system is also considered by quite a few private universities in Central America. AUPRICA, through universities, both from the private and the public sectors, aims to stimulate the economy in all countries, through universities that are factually companies, or production units, for the development of knowledge, by facing great challenges, which ultimately contribute to and enable survival, growth, and competitiveness. Universities are open to student exchange as the exam entry requirements are similar. In the USA, students need to pass secondary school leaving qualifications such as ACT or SAT or GED; these exams are well recognized around the world. See also: News in Central America on Higher Education. The universities are the leading institutions set up to (among other functions) to continually rethink diversification, to answer questions, and address new educational options that are consistent with the development of countries and the demands of the economy at the same time. This allows for the consolidation of the current position of the Association in the region to build a strategy to achieve its identity at all educational levels. Within this active and compelling vision, universities develop study programs to meet the needs of society, and they can behave like successful, confident and competitive companies that also satisfy the educational needs at all national and regional levels. 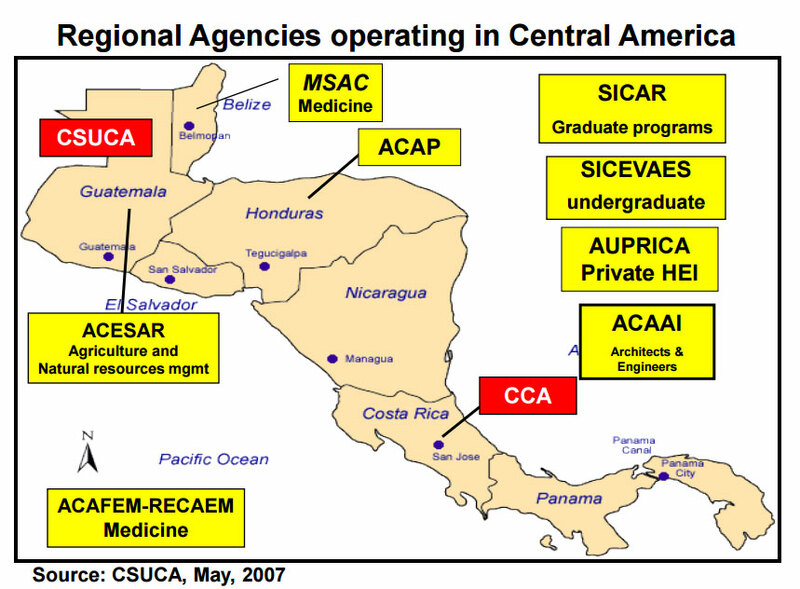 The Association and each of the member universities, organized in so-called Country Chapters should seriously consider which are the constant factors that play a vital role, and which ones must constantly be renewed to advance from its current position to respond to innovation and implementation of new and multiple projects like the recent AUPRICA activities in Nicaragua. They must evaluate the relevance and satisfaction of new educational offerings and new practices in education that society requires, deal with new technology options, evaluate suitable and equipped laboratories, set up classrooms for learning, intertwined with the environment and ecological policies as required in current education and regional development. AUPRICA is an internationally recognized that supports the autonomy and interdependence of each of the member universities, and the common values are promoted in the development of each of them, for the benefit of cooperation between them, becoming a generating network of knowledge and to achieve various methodological research scientific knowledge. It is intended to develop shared visions of all Associated Universities, build trust and flexibility in the exchange of research, science, experiments, and build up academically- oriented policy frameworks, educational and other institutional arrangements, promoting innovation for growth across Central and Latin America, and being able to respond to the challenges, scope, and development of the region. The association aims to achieve a higher level of organizational effectiveness, aimed at reaching higher positions while respecting the institutional differences and join a new regional and competitive environment. This, in turn, demands unity and synergy to respond to new regional scenarios, and that would lead to alliances and bridges to facilitate increase, quantitatively and qualitatively, the function of universities in the regional context. In a positive and innovative environment, universities play a critical role as successful and competitive regional companies. AUPRICA, based on the strengths achieved over the years, articulates and leads, together with other actors and cross-border organizations, the impact on multiple projects and programs that contribute to common interrelation positioning of each of the universities at the regional level.